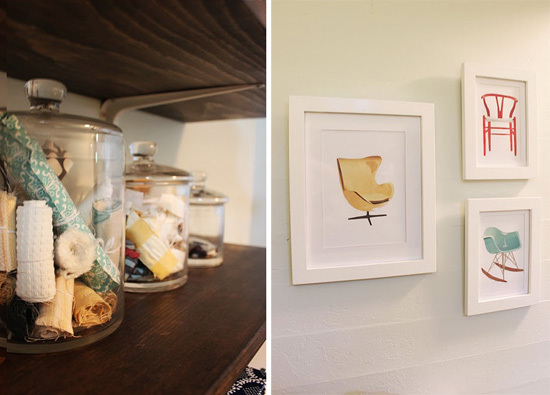 Wouldn't it be great to have your very own personalized space dedicated to all things crafty? Well, my friend Amber (who graduated with me in interior design) recently designed her own sewing/craft room and it turned out amazing! 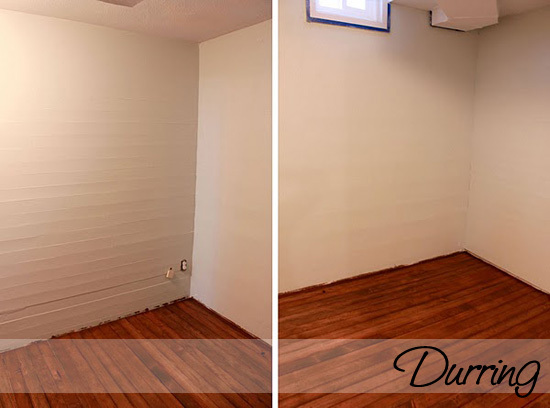 Amber and her husband did all of the renovations themselves including building the wall to wall work-space and laying the wood flooring! I love everything about this space especially the modern wall art and unique craft chair! 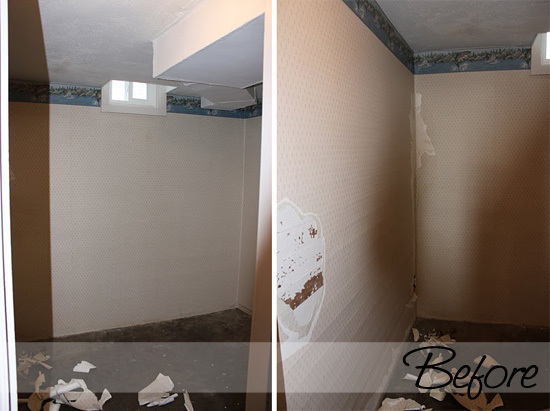 Amber and her handy husband have slowly been renovating their home since they purchased it a few years ago. You can find more of their fabulous projects on Amber's Blog! What's your favorite feature in the space? 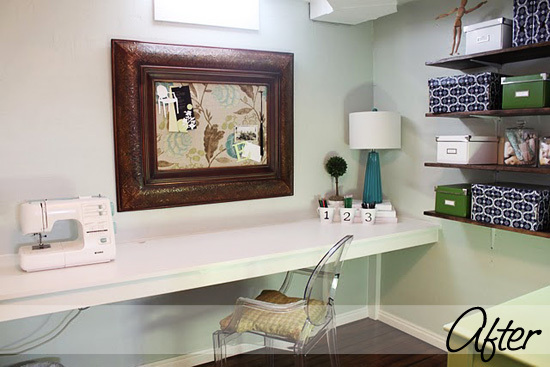 Find more photos of the craft room design process here, here, & here! Wow this looks amazing!! 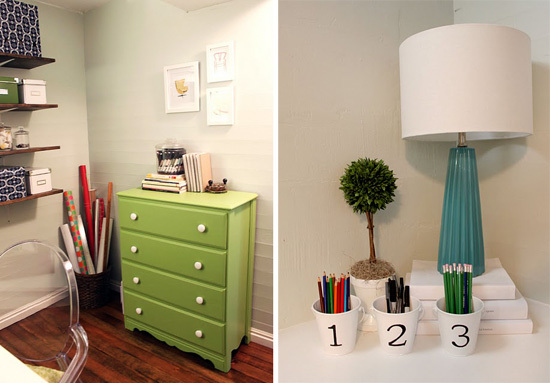 I love the green chest of drawers! Such a fun color for a craft room. And all of the shelves on the wall with the pretty boxes look great. Oh wow!!! They did an amazing job!!!! Wow! That looks fantastic. You need to come and design a craft room for me Andrea. Oh, I am so jealous! I have currently taken over our dining room table, which just looks terrible. I love that chair and the chair photos - perfect!